How to use Electron Energy-Loss Spectroscopy (EELS) to study changes in nanoscale composition and the electronic structure of materials. This can be performed in-situ in a Transmission Electron Microscope (TEM), so you can observe changes in materials and in an environment similar to their working state. Learn more in a webinar on Wednesday 27th March 2019 at 4pm CET (details below). Blue Scientific is the official Nordic distributor for Gatan in the Nordic region (Denmark, Finland, Norway, Sweden, Iceland). For more information or quotes, please get in touch. 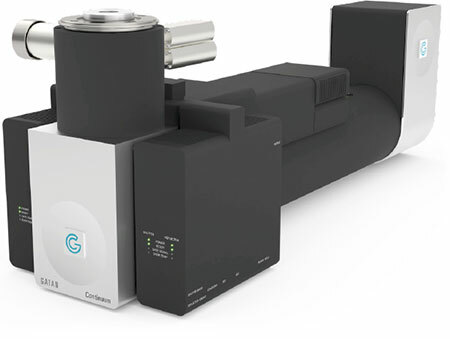 With in-situ microscopy you can expose samples to a range of stimuli including heat, cold, light, electric fields, magnetic fields, gas and liquids, which can trigger phase transformations. This can reveal vital information about reaction pathways and transient intermediates, that might not be otherwise apparent. In the technology industry in particular, the structure and composition of materials can be studied under conditions closer to their working state. In-situ EELS spectrum images showing particle oxidation. The top row is after initial oxidation at 450°C, showing a clear oxide shell. The bottom row is a different particle after further oxidation at 550°C, and the entire particle is oxidized. More detail in Gatan’s application note. With EELS you can detect and quantify changes in composition and bonding with a spatial resolution down to 0.1 nm. This technique uses sub-nanometer electron probes from Scanning Transmission Electron Microscopy (STEM). Near surface regions can be studied with aloof beam EELS. This is especially useful for systems susceptible to electron beam damage. Experiments in gases and liquids – Study compositional changes in the surrounding gas or liquid phase. Electrochemistry – Characterise catalysts and electrolyte changes (known as the operando approach). Vibrational EELS is a growing area for new characterisation possibilities, with the development of advanced monochromators. Find out more in Gatan’s 1 hour webinar on Wednesday 27th March 2019 at 4pm CET. The webinar will discuss how to use both core-loss and low-loss EELS for in-situ materials characterisation. It will be presented by Peter A. Crozier PhD, a Professor from Arizona State University. 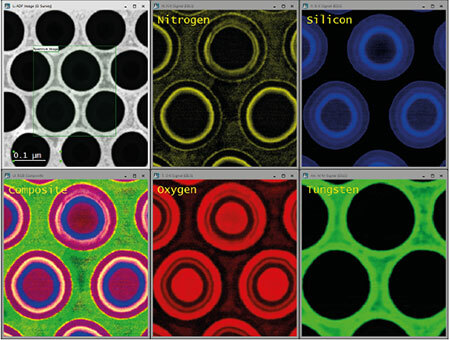 Next generation EELS and EFTEM system for TEM . Suitable for the latest, emerging techniques such as in-situ EELS, energy-filtered 4D STEM and momentum-resolved EELS. Correlate stimulus to data in real time. 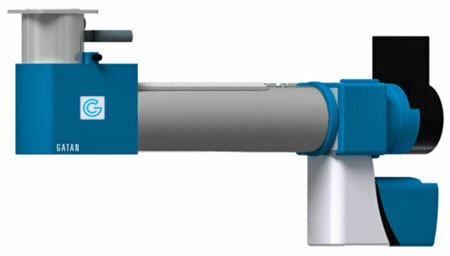 Direct detection camera for energy-filtered imaging and spectroscopy. Elucidating contrast modes for in-situ experiments. Capture fast in-situ events with sub-millisecond temporal resolution. Save frames as images at full detector speed and resolution.